Idaho is known for potatoes and gemstones, with the latter giving it the nickname of “The Gem State.” The region is not known for its sports gambling scene, however, and this article should give you a good idea why. In addition to listing sports teams that are available to wager on, we’ll also discuss illegal betting options Please keep in mind that I’m not a lawyer, so any advice that I give may or may not hold up in a court of law. 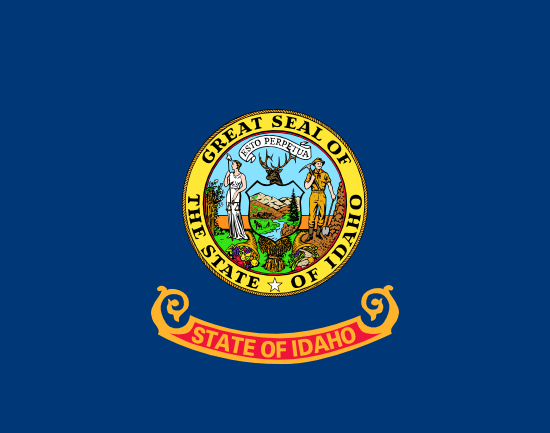 If you have serious questions about the legality of gambling and the possible penalties, be sure to consult with a Idaho legal professional. • Boise Hawks – This Boise-based franchise has been a farm team for the Colorado Rockies and Chicago Cubs. Formed in 1987, they’ve won the league championship on multiple occasions. • Idaho Steelheads – Based in Boise, this minor league hockey team has been in operation since 1997. Since 2003, they’ve been a member of the East Coast Hockey League. • Firebird Raceway – Located in Eagle, Idaho, this track offers car, truck, and motorcycle racing, as well as drag strip competitions. • Treasure Valley Rollergirls – Founded in 2006, this women’s flat track roller derby organization features players with colorful names such as Mia Wallups, Dew Me Decimal, and Bruisee Smalls. • Idaho Falls Chukars – Located in Idaho Falls, this minor league baseball club serves as a farm team for the Kansas City Royals. The team has been around since 1940, and they’ve featured such as Billy Martin and Jose Canseco. • Idaho Stampede – Another Boise-based team, the Stampede is part of the NBA Development League and associated with the Utah Jazz. Idaho has a large number of smaller four-year and junior colleges, but only three universities are large enough to compete in Division One of the NCAA. This is the level that’s most popular with both amateur and professional gamblers, and it’s the only one where betting lines are consistently offered. • Boise State University – Founded in 1932, this public research institution competes in the Mountain West Conference for most sports. Their athletic teams are known as the Broncos, and they’ve enjoyed national success in tennis, men’s and women’s basketball, wrestling, and women’s gymnastics. Their NCAA football program has been their most successful, with an undefeated season in 2006 and Fiesta Bowl wins in 2009 and 2014. • University of Idaho – Also commonly referred to as the U of I, this school is the oldest public university in the state. Established in 1889, the school offers a wide range of degree opportunities, as well as various sports teams known as the Vandals. Most of their teams compete in the Big Sky Conference, while their football program plays in the Sun Belt Conference. Their men’s NCAA basketball team has advanced to the NCAA tourney on four occasions, compiling a record of 1-4 in the process. While their football team has an overall losing record, they did manage to pick up wins at the Humanitarian Bowl (now known as the Famous Idaho Potato Bowl) in 1998 and 2009. • Idaho State University – ISU was founded in 1901, and they’ve grown to become the leading institution for medical and health professionals in the state. When they’re not learning to mend bones in the classroom, the students are often breaking them on the field while competing in athletic events including football, basketball, and soccer. The Bengals compete in the Big Sky Conference against rivals such as Boise State and the University of Idaho. Their men’s basketball team has made one appearance in the Elite Eight during the NCAA tournament, while the football team has a pair of bowl game victories to go along with a Division I-AA national title in 1981. Each March, the NCAA Men’s Basketball tournament takes place to determine the best squad in the United States. Sixty-eight teams qualify for the single-elimination tournament, with the event drawing huge television ratings and sending sports gamblers into a frenzied state. If you want to get in on the action in Idaho, the best option is to find an online bookmaker to accept your wagers. These individuals should provide betting lines for every match-up throughout the tournament, whether it takes place during the Sweet Sixteen, Elite Eight, or Final Four. Even if you’re unable to locate a bookie, there’s always the option of taking part in a bracket pool with friends or co-workers. Brackets sheets can be printed from various online sources, and they show the starting positions of all teams during the tournament. All you have to do is predict the winner of each match-up, filling in the bracket as you go. When the event is over, the participant in your pool with the most correct predictions ends up winning the prize money. This is a simple way to get in some gambling action, and even those who normally don’t wager on sports are likely to participate. Betting on sports via the Internet isn’t legal in Idaho. Luckily, the laws that are in place are meant to punish bookmakers and online casinos, so private citizens should still be able to take advantage of their services without any great fear of prosecution. If you don’t want to use an online sportsbook, your only other viable options include betting with friends and finding an illegal local bookie. While both of these are against the law, you should be able to accomplish either with little problem. Just make sure you can trust the person you’re betting with, otherwise you could run into a lot of trouble when it’s time to collect your winnings. Idaho is far from a gambling mecca, as sports betting is illegal and the state only has a small number of teams to choose from. Luckily, online gambling allows you to wager on sports franchises outside of the state, which opens up a wealth of possibilities.